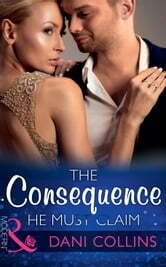 Her boss… Sorcha Kelly fell head-over-heels for her impossibly irresistible boss years ago. When she discovered he was dutifully engaged she had to leave to protect her heart. However, her resignation broke the seal on the dangerous chemistry that had always simmered between them and that evening it consumed them both. His baby! After surviving a violent car crash, Cesar Montero lost his memories of the ardent hours he shared with his effortlessly seductive PA. So when he discovers that their time together resulted in a lasting consequence he’s determined to claim his child – and to relive the white-hot night he can no longer recall…again and again!